170 open ended questions that will kick off some great conversations with you’re friends! 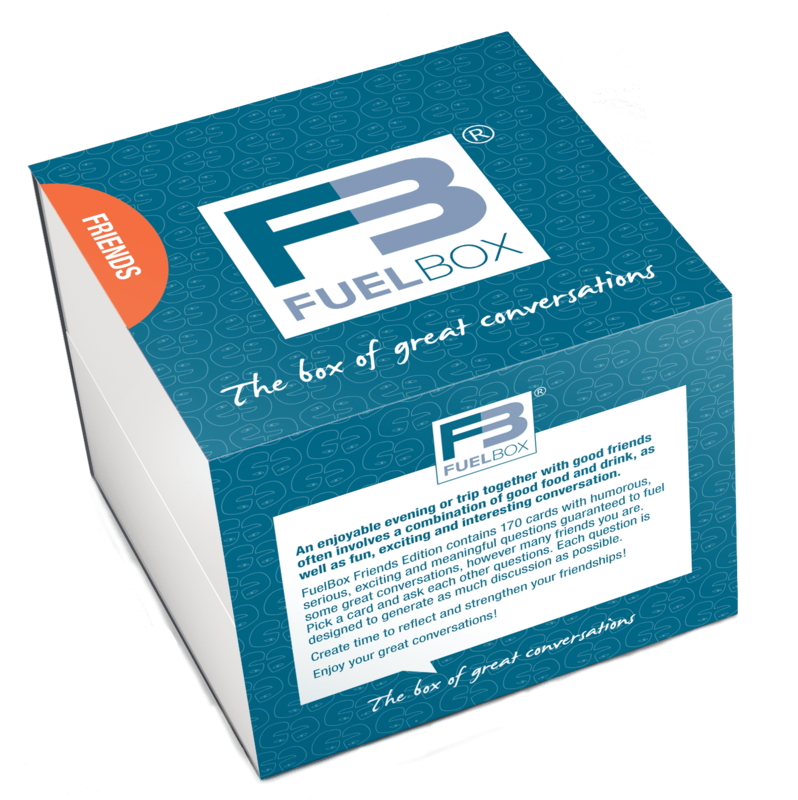 Reflect, share and strengthen your relationships with great conversations fueled by FuelBox FRIENDS! What kind of life experiences have changed you? If I was your replacement at work one day, what would happen? What is the best thing a friend has ever done for you? What would you have in your ideal hobby room? What have previous relationships taught you about yourself? How do you see your life in ten years' time? What is important to take care of and enjoy today? What do you wish you were better at saying no to?